Tonio Fenech, a former Finance Minister in Lawrence Gonzi’s cabinet, has told Malta Today that previous leadership elections saw MPs divided on the matter of who they supported, but they all then rallied around the one who was elected. He mentioned, in particular, the division created by the leadership race between Lawrence Gonzi and John Dalli when Prime Minister Eddie Fenech Adami stepped down in 2004 after accomplishing his mission of taking Malta into the European Union. 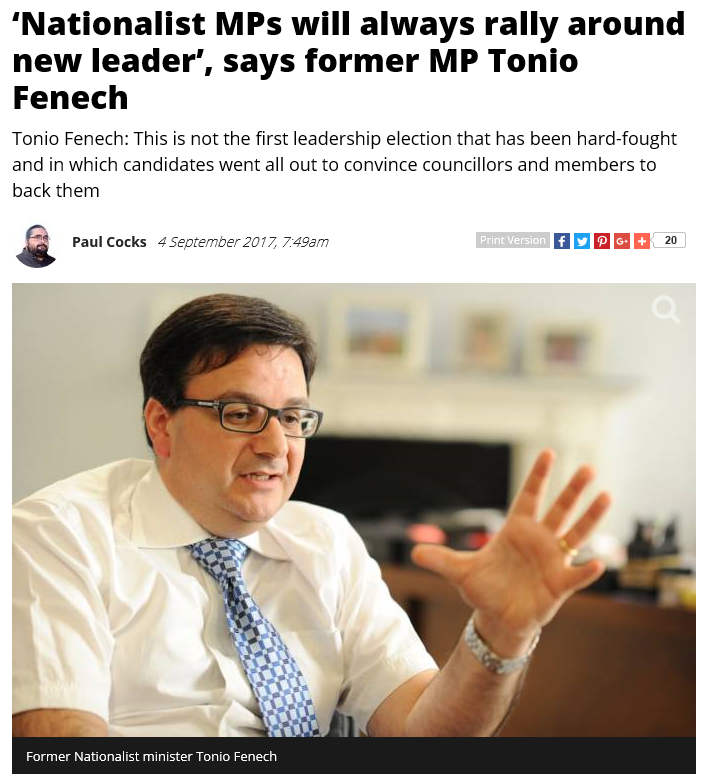 It wasn’t a particularly good comparison that Mr Fenech made there, because some MPs did not rally behind the winner, Dr Gonzi, and proceeded to spend the following nine years undermining him and, towards the end, putting on graphic displays of disloyalty and malice. As for John Dalli himself, who continued to sit in parliament and in the cabinet, we needn’t bother to go there. I suspect he is still stirring the pot to this day, and that he is backing Adrian Delia. One of the heavies shouting and jumping around him in those unpleasant scenes at the Nationalist Party headquarters a few days ago was Mr Dalli’s former chauffeur. It was the same with the face-off between Eddie Fenech Adami and Guido Demarco in 1976. I don’t remember it, because I was 12. But when I began working in journalism 14 years later, Dr Demarco was still at it and he didn’t let up until he was shipped out to San Anton Palace in 1999. Dr Demarco didn’t undermine Dr Fenech Adami from within, though, as Mr Dalli did to Dr Gonzi. Instead he built a support base in the Labour Party and cultivated friendships there, notably with key figures like Agatha Barbara and Dom Mintoff, who the Nationalist Party was meant to be fighting. There is a major difference between those leadership elections and this one, however: this is the first time that a man has walked in off the street, having had no previous involvement with the Nationalist Party or politics in any shape or form, and with a history as a money-launderer for a prostitution racket, and decided he wants to run the organisation. Will MPs want to rally around that? I’ll wager not many of them will want to, for roughly the same reasons that not many experience-toughened journalists will be inclined to cooperate with an editor who has been brought off the street to run the newspaper or media house with no experience at all in journalism or media but plenty of experience in fixing cars. And that’s quite apart from the fact that some of them actually have a principled objection to things like money-laundering, crime and white slavery.